Kim!, we want to thank you!. They came out in a short period of time. Gave a written estimate, and completed the work as stated. They are my sprinkler company for maintenance and repair from now on. They came out very quickly, did a professional job, and gave me options to save money. Since my Dad passed away a little over a year ago, I have been visiting Cape Coral at least every two weeks or more to help my step mom maintain the house. During my last couple of visits I noticed a wet spot in the yard on the side of the house. I was advised by neighbors not to worry, that there had been some heavy rain showers and not a leak. When I came over this week the wet area was worse and had become a mud pit. I thought that due to the location of the yard sprinklers that the water line to the yard sprinkler system must be leaking. Not knowing any yard sprinkler repair companies in Cape Coral, I googled Irrigation Repair Companies in Cape Coral and several companies appeared. When I checked out Five Star Irrigation Services, I was impressed with their web site and the reviews that they had received. There was a form on their web site that you can fill out and send in. I filled out the form on my cell phone and submitted it. Within 10 minutes I received a phone call back from Tony. I explained the problem and situation that I had. Tony offered to come out on Saturday to check out the problem. I explained to Tony that I was only here in Cape Coral until Friday afternoon and I would have to drive back to Fort Lauderdale, and I also advised that my step mom is not comfortable with people doing anything at the house without me being there to work with. After hearing my plight, Tony advise me that he and his crew would be out late Thursday afternoon. When they were finishing their last job, they called me to advise that they were on their way to our house. They arrived at our house about 4:45pm and within a few minutes investigated the problem and tested our sprinkler system. The leak was in the water line to the house, the elbow coupling had a crack. When they tested the yard sprinkler system they found more then 14 non working sprinkler heads. They only took an hour to fix the water leak and repair all of the non working sprinkler heads. There were at least 4 guys running around the house and they had this emergency repair completed within an hour. I was very impressed with their work manner and their professionalism. My step mom was so happy to see how fast it took to make the repair and how professional the work was performed. My step mom thanked the entire crew from Five Star for their work and how they made the time in their busy schedule to fix our leak before I had to leave to go back home in North Lauderdale. I would recommend Five Star to anyone in the Fort Myers and Cape Coral area. This is a family company that performs great work. These guys are the best. We just moved to Florida from Michigan and had an inspection on our home. Eagle Eye inspection did a every bad job and our underground sprinkler system was shot so we called Five Star Irrigation Services and they came out spoke to us for a few minutes and went to work. I was amazed at the work they did in a very short amount of time and the quality of work is out of this world wonderful. All the guys work very hard and fast finding the problems, fixing them, and very courteous They answered all of our questions. We called them to come back due to another contractors mistake and they fixed it no charge, can’t get any better than that. If you need help with irrigation, PLEASE call this company. They are the best….. Owner and assistants came in to review our existing aged system and let us know all issues. After reporting all problems, provided us with several options for correction. Were on time for initial inspection and very prompt at completing all of the required work. Excellent job! They are so professional and kind. Highly recommended A+, the best irrigation company! After a family members passing away a few years ago, the home in Cape Coral was in need of some attention, and so was the sprinkler system. With only a few days to get everything in order and fixed before I went back North, I contacted Five Star expecting to be told they wouldn’t be able to help me in such a short timeframe. To my surprise, Mark from Five Star said he could help after explaining my situation. Mark and his crew from Five Star were there within two days and quickly diagnosed the problems. In two hours time, the Five Star crew replaced two bad zone valves, a number of bad sprinkler heads, and had everything adjusted for complete yard coverage. A big thanks to Mark and his Five Star crew for going above and beyond at a difficult time!! My parents used 5 Star to fix a few sprinkler problems. The guys came and tested every head and fixed all the problems. They were very professional and worked quickly! We would recommend 5 Star to anyone!! This professional company called when they were on their way, showed up as promised and Mark and the Crew got to work. Every crew member knew what he was doing and they worked in tune with one another! The Crew was very respectful and informative! The coolest thing of all was the tool they use to find buried valve boxes! We could not find 2 valve boxes for years and Mark found them with his state of the art locator in just a few minutes saving us a bunch of time and labor! I own a service business in the HVAC industry and I give this company an A+. Its hard to find reliable Contractors in Cape Coral, but look no more for a quality sprinkler repair Company! It is a well oiled machine with good people, great knowledge and tools that make the job go seamlessly! Fivestar irrigation services gets 5 starrs from me! Thanks Mark! I needed to have my sprinklers repaired. Five Star showed up today and Mark commented on how much weight I’ve lost. I said, I’ve lost 220 pounds so far. So Mark took $ 300 off the bill. This was not expected. Mark is a stand up guy and I will recommend his company to anyone who needs sprinkler work done. And the guys that work for him are professional and friendly. Mark (owner) and his team came out to give me a quote within a day of contacting them. After he gave me a great quote to revamp my whole system, he and his crew got right to work. They changed all my sprinkler heads that were broken and even went above and beyond to raise/lower and relocate the ones that had been positioned wrong originally. They worked quickly and efficiently and then showed me exactly what they did and how it all worked. Mark was very honest and fair and did not try to sell me things I didn’t need like other companies have tried to do. If you need any sprinkler work done, don’t hesitate to hire Five Star, they are amazing. The best part, Mark personally warranties all of his work. Mark and Five Star Irrigation have been awesome to work with!! I own and run 5 Star Lawnscaping… which is a full service lawn care provider in Cape Coral. We mow, trim, edge, fertilize, weed kill, hedge and tree trim, aerate, pressure wash, etc, AND have the best customer service in the industry…. BUT, we don’t do irrigation or sprinkler work… That is where Mark and Five Star come in!! I initially called them a few months ago for a customer we had that was having issues with their sprinkler system. Mark and his crew were responsive, reliable, quick and friendly – better yet, they took good care of my customer and did a great job on the sprinkler pair. Mark and his crews have done several jobs for our customers now. Needless to say, I have found a great business parter to refer my customers to!! You can’t go wrong calling Five Star Irrigation if you need sprinkler work. They will treat you right just like they do our 5 Star Lawn customers! I had filed a complaint with this Company ( Five Star) and much to my surprise, Mark (the Owner)called me and apolozed and refunded the charges. We want to thank you again for the 5 star review that you gave us! it means the world to us and our family owned business! As we had talked earlier we are wanting and willing to redesign your sprinkler system with not a penny of your own money at the moment giving you 3 months to enjoy your new sprinkler system for total coverage front, back, and sides, adding and moving, replacing and redesigning your sprinkler system for full coverage. It is very hard to please all customers but we try really hard to do just that even if it means taking a loss, discounting or even giving something away to prove our quality of work that we have in mind for a better sprinkler system. Its not about the money at this point its about having and keeping a happy customer. Our reputation is very important to us!. I hired Five Star Irrigation Services, Inc. today, May 16, 2016, to assess our sprinkler system and make any necessary repairs. I am completely impressed with the quality of work that was completed, the service provided, and the speed at which his crew worked. The owner was onsite to explain the process and lead his team. The owner asked me walk the yard with him to identify the problems. Once that was completed, he provided a itemized estimate of the needed repairs. After the work was complete, he asked me to walk the yard again to demonstrate each of the zones working properly. I highly recommend Five Star Irrigation for your sprinkler system needs. So professional and knew exactly what they were doing and were so upfront as to what was wrong and what was just fine. The owner wrote up a quote and it seemed very reasonable and fair and so we told them to have at it! They were so efficient and hard working and checked and double checked to make sure every sprinkler was working to maximize our our irrigation system ~ my better half was so amazed with the quality of their work, he had his picture taken with them and their truck! Hadn’t serviced my irrigation system in almost five years. Parts of my lawn were getting burnt up and needed a quick fix. Called Five Star Irrigation and Mark and Brett were out the next day. I needed five new sprinkler heads and they adjusted the rest. Price was more than fair. Great family run business. My pop up sprinklers weren’t working, so late Friday afternoon, I called Five Stare Irrigation Services here in Cape Coral. They told me that they’d be here in 2-3 hours, and they sure were. They arrived at 6:30 p.m. after a long day’s work, and replaced my broken timer. When they left, my sprinklers were working again. The service which they gave me was A+. I would highly recommend Five Star Irrigation to anyone….do yourself a favor and call Five Star Irrigation and get great service with a smile. I give Five Star Irrigation ***** (five stars)!. Our sprinkler system was old, outdated, badly designed and needed a lot of work. Five Star came out and within a couple hours were able to replace 3 zone valves, timer and many failing heads, in addition to moving heads and adding new heads to ensure good coverage. They had any parts they needed on the truck, so no running to the store and the man power to get the job done fast. Five Star Irrigation Services, Inc. was the best sprinkler company I’ve ever worked with! They were very professional and quickly resolved all of the issues that were wrong with my irrigation system. From having to rewire my system due to cut lines to changing out broken heads and changing out other parts, my system has never worked so well. This company does it all and they are very fair on their pricing. I highly recommend this company! A++++ Service all the way! Thank you so much for helping! Set up an appointment for a Saturday. I received a call letting me know they were on their way. Mark identified my problem as a burned out submersible pump which I suspected. The team went to work pulling the old pump and installing the new one in a matter of hours. They also reattached my timer and inspected all the sprinkler heads and suggested changes to improve coverage. I’m confident that the work was done properly and I would not hesitate to call them back in the future. Family owned business. Super professional, caring, and wonderful to work with. They were on time, fast, efficient, and clean. Thank you all so much! Five Star Irrigation came out today and pretty much replaced everything on my 14 year old irrigation system. He suggested they move some sprinkler heads to gain coverage. I couldn’t believe that such a large crew would be working on my system and they had it done in under two hours! They tested the system and had me walk each active zone to show the coverage. My wife and I were very impressed! I asked if he suggested I buy the “donuts” to protect the heads from the lawn mover. He said yes and then sent his crew to retrieve donuts from his van. They placed them around all the sprinkler heads for us for free. Called Five Start Irrigation to correct coverage problem. They showed up the very next day ahead of schedule, assessed the situation and gave estimate on the spot. Work was superb, and they were very knowledgeable and the work was done the same day within budget. I would highly recommend Five Star for your irrigation needs. Mark and crew did an outstanding job fixing an old sprinkler system today. They were quick, efficient, professional, and friendly. They are my “go to” company for irrigation work. Thanks guys! We were really happy with Mark and his crew. We called him and he was there and fixed our 7 zone 28 year old irrigation system the same day. Mark himself went over the system with us to make sure every sprinkler was running properly. Our service was five stars. My sprinkler system had stopped working and I didn’t realize it until 2 weeks later, My grass was dying quickly…. Five Star fit me in and came right out. Very professional, very friendly. Got my system up and running and even fixed areas that needed to be fixed. I highly recommend them…. They were amazing! I can’t begin to tell you how impressed I am with them! Five Star Rocks!!! If you have any problems with your sprinklers… you definitely need to call them!!! Excellent service from this company! Confirmation call the night before, a call when they were on their way and an estimate before the work was completed. The large, professional, friendly, crew completed the work quickly and efficiently. Would definitely recommend Five Star!!! From the moment they step onto my property I knew that Mark and his team were going to update my sprinkler system insuring great results. They actively involved me in the process in a professional manner; not knowing how expensive the update would cost Mark was able to finish the system with in my budget. I Highly recommend Five Star Irrigation. Thank you Mark! They arrived with a full crew of service techs and all worked as a team to find all of the problems with my out of service sprinkler system. They went the extra mile and added better head coverage by moving a few heads around, replaced valves and worked on the timer getting it all set up with a very honest approach to help save money. All heads were adjusted and the wiring was also corrected and improved. I highly recommend this lawn sprinkler company. Great job!!! We are new homeowners in Cape Coral found that we needed our sprinklers repaired. We called five star irrigation they came out next day with a crew, estimated the services. We agreed on a price and within two hours to our satisfaction the job was completed. They did an amazing job and we highly recommend them. After weeks of trying to get various other irrigation services out to assess my sprinkler system, Five Star Irrigation Services came out….SAME DAY!!!! They evaluated the system, diagnosed the problem and were able to fit getting my job done into their very busy schedule! They replace the sprinkler valves with the best quality product out there and ran all the zones in the system to ensure everything was working properly. All of this done the same day! A HUGE thank you goes out to Mark and his team. These guys were fair and respectful and I will highly recommend them to my friends and neighbors for their irrigation service needs. I used this company maybe a month ago. Very easy to do business with, did a great job in a timely manner and at a reasonable cost. The only minor thing I had was that their website said “click here to get free service call” and I ended up being charged, with them telling me you have to personally ask for it. Not what the website says but they ended up refunding the trip charge with no problem at all. I highly recommend them. It was nice to finally find a company that has excellent customer service in the Cape. We had 2 sprinklers covered by my our ex lawn guy with rock when doimg our landscaping in March and now that it’s almost July we needed to get something done. They came out within a few days and fixed it on the spot and checked all of our sprinklers. These guys are AWESOME !! They are very professional and curtious ! I would recommend this company and will continue to use !! Thanks guys you are the best !! Used them to redo when I moved in , and fix pipes I have hit with shovel more recently!! Always, quick, professional and really nice team to work with! Made lawn watering such a pleasure! This is a great company. I called on Wednesday in the morning to set up a time. They stated they would come and look to see what we needed. Once they arrived he had his mobile office( all parts needed ) along with his polite staff to take care of our service needs. Very professional, double checked every thing that was done. Along with leaving our yard spotless. Our yard now has the correct amount of sprinklers along with great coverage . Very informative .I will use five star again along with telling everyone. They did a amazing job in a short period of time. Five Star Irrigation did an outstanding job updating our sprinkler system. I expected to get a quote and wait a few days for work to start, but they had everything on site and were able to complete the job in no time at all. Highly impressed with their work speed and quality. I was shown every aspect of the system and couldn’t be happier with the results. Thank you Five Star Irrigation! I am new to the Cape area and searched for a reliable lawn sprinkler service. I found Five Star Irrigation and have had them out two times with great results. They even found and fixed a major issue with my well water system before it ended up costing hundreds. Highly recommended! This company is professional and did an excellent job! I hired Five Star to repair work that another company had just done. I wish I would have called Five Star before I wasted money, aggravation and time with the other inferior company. Thank you so much and from now on, I will only work with you. Mark and his team came out to do an estimate this morning. They were early to the appointment very polite, professional, and very knowledgeable. They answered all my questions and had the lowest estimate out of four we had gotten so far. We will definitely being using their service for all our sprinkler needs now and in the future. These guys are willing to work with you and care about the customers. explained. They even gave helpful ideas on how to better maintain my lawn. I highly recommend these guys!!! 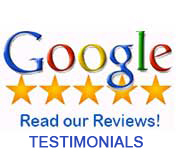 I found five star irrigation services on google and choose them by all the positive reviews made by past customers. I have to say I was not disappointed. Five Star irrigations exceeded my expectations as a company. The appointment was made. They called ahead of time to confirm and arrived on time if not early. I had an irrigation system not used for 8 yrs. Five star was able to fix all the leaks, move the sprayer heads to appropriate positions for proper water coverage and place new lines. They did not leave until correcting the problems and triple checking it worked properly. The repairs were more than I had expected, especially with a system not used for so long. I was given a more than fair price for the work done. I would recommend five star irrigation to anyone who wants fair, honest and hard working people. By far one of the best companies out there!!!! I needed a broken sprinkler pipe fixed pronto so that concrete could be poured for a patio I’m having built. They came out within the hour and fixed the pipe and a couple of sprinkler heads that had been run over by heavy equipment. Then Mark took a look at the rest of my system and made recommendations. My sprinkler system was put down in 1986 when I built my home. No one has ever suggested adding sprinklers and moving others since the landscape had changed greatly over the years. I accepted Mark’s proposal and they went to work on it. WOW!! These guys know their stuff!! I will never call another company. I am a customer for life. I am so happy that I won’t have to tote a hose around now trying to keep grass and plants alive where the sprinklers did not hit. That you guys! I really appreciate the job you did! I cannot speak highly enough about how hard these guys worked. They came to my home, found the broken pipe, rerouted it from under a tree and had my yard repaired, sprinklers all working perfectly….All in under 1.5 hours. Outstanding by all involved. I rarely review a business and Five Star Irrigation earned all 5 stars. To begin with, they called me back after I called them (at least 3 other companies didn’t). Then, they scheduled a visit within a reasonable time frame, called back a few days before to confirm, and then showed up when they said they would. It was a complex rebuild of an old system with too much water in some zones, not enough in others, and a not particularly sensible array of sprinkler heads – all resulting in inefficient watering of my lawn and landscaping. Mark took a personal interest in getting the job right and was true to the estimate he gave me for the job. The work was completed in timely fashion and was carefully demonstrated to me on completion. I’m very happy with the way this job was handled. Highly recommend this business! A +++ Great service, Fair price, Highly competent. 5 Star Irrigation here in Cape Coral is by far the best irrigation company I have worked with. They are prompt, professional, and they do great work. I just hired them for a complete front, sides, back yard project. They arrived on-time, displayed a great work ethic, and demonstrated excellent customer service and communication throughout the process. When they discovered various unforeseen obstacles to the project, they communicated the problems and did a great job getting them fixed. I highly recommend this company. I had a very positive and professional experience with Five Star Irrigation at my Cape Coral home. GREAT customer care & HIGHLY recommend. re-do my triple lot property & 23 sprinkler heads. I was very impressed with the end results. Thank you so much for caring about my yard. I called Five Star Irrigation because of the great reviews that I saw here. I needed major repairs on my irrigation system and it hadn’t worked in years. I needed someone I could count on. Mark gave me a quote and got the job done on time and on budget. More importantly they did a great job and used quality parts. I 100% recommend them. Tony was super at keeping me up to date with the work. The entire company is first class. 5 Star is THE BEST!!! They arrived on time, trouble shooted the problem, worked like beasts, acted like gentlemen and were extremely professional. I am very pleased with the workmanship and my new sprinklers. I had an excellent experience with Five Star Irrigation. They were able to quickly locate a problem with one of my irrigation zones where another reputable company had not been able to help. I appreciated their professionalism and overall interest in my entire yard. Not only did they replace my broken heads, they analyzed the rotation and direction of each head. They came prepared with all necessary equipment including a tracker and were clearly experts in their field. I would highly recommend Five Star Irrigation to any of my friends. I would highly recommend Five Star Irrigation! Very helpful and professional! Anna Eileen H.
My husband and I have had several sprinkler companies service our sprinkler system and we finally found an honest hard working company to be able to trust. An electrician had changed our service recently and we found out that our sprinklers were not working. We called Five Star Irrigation and they promptly came to our home and addressed the issue. They found an electrical issue that they corrected for us. They also checked our entire system. We highly recommend Five Star Irrigation Services to anyone having any issue with their sprinklers. They do it all. Five Star Irrigation should be called Ten Star because we give them a ten out of ten !!! Thank you Five Star Irrigation!! For the first time since we bought our home in August, we have a fully functional irrigation system. Sprinklers went off last night, and this morning we could clearly see that every square inch of our lot had been watered. You were fast, efficient, super polite, answered all our questions and didn’t try to sell us what we didn’t need. We could not be happier. Thanks for doing such a fantastic job! Are you kidding me? Honestly some of the best, quickest, most honest service I have received outside of one of my own relatives. What a pleasure to do business with a company that knows what they are doing is courteous and works fast for a fair price. I like Five Stars service so much that I have now used them on 2 different homes. They just completely reinstalled the system where my new pool was installed and converted my existing inadequate system to one that will give my landscaping the water it needs. From estimate to completion in 1 week and they take pride in their work. I cannot recommend this place enough! I called three other places prior to Five Star and each one said my current system was shot and needed an entire new system with very high price tags…then came Five Star. They fixed my existing system with some upgrades for half of the price. Their communication efforts in scheduling are a rareity these days. I appreciated that they arrived on the day they said they would and kept in contact on exactly when they’d arrive at my home. They did an outstanding job and will have my business from this day forward. These guys are honest, won’t oversell you and do high quality work. I will refer everyone I know to them. Thank you Five Star! Did great work and fair pricing. Sprinkler system was a mess and they got it straightened out in a short amount of time. Professional, showed up on time and good communication. I would definitely use them again. For 6 years we’ve waited for an irrigation team that knew what it was doing and we finally found it: 5 Star Irrigation. Mark and his team know why your lawn is brown and your tropicals aren’t getting enough water and can tailor your sprinkler system to match any contour or slope, like ours. Thank you Mark and we look forward to years of great service from your and your water wizards! You made our day! It was nice working with Mark and his son. They were very professional and arrived when they said they would. Excellent communication and work, they explained exactly what they did and saved us money by not doing anything unnecessary. I highly recommend Five Star Irrigation and definately give them 5 stars!! I had a chance to meet the owner Mark and his son Brett. Two absolutely sand up guys. I would highly recommend doing business with these two. Great family business from a great family. I called them in the morning of May 29th. My sprinkler system had many issues and continued to break down every time we came down to enjoy our Cape Coral home. The person who answered the phone said he would get back to me a time, as I was only in town for another 1.5 days. The called me in the afternoon and said they had 2 jobs and would be out. Mark the owner inspected my yard and gave me 2 options for repair. I actually opted for a complete new layout and heads to avoid the constant fixing. The did the job same day, walked me through what they did and how it worked. I trusted them and they did a great job and inspected each head and zone multiple times to ensure it was functioning as it should. One of my best experiences in the Cape. Well, I too had a wonderful experience with Five Star Irrigation Services. From the initial phone call to request someone come to my home, to the actual work which was done has been exceptional. The crew came out this morning (1/2/2018) and went above and beyond my expectations. Not only were they knowledgeable and professional, but they were personable as well. I observed the majority of the work which was performed and asked a bunch of questions. Everyone who was at my home working answered all my questions and explained their reasoning behind the suggestions they made. Ultimately, they re-did almost my entire, outdated irrigation system. The cost was very reasonable and they wasted no time getting the job done. Very impressed. Thank you all for a job well done. Great service. Very efficient. glad I had you out to check my system. Can’t say enough good things about Mark and his team. We had been through 4 or 5 other sprinkler companies who did nothing but give us the run around. They were very fair, communicated every step of the way, and ultimately cared about ensuring we were satisfied above anything else. Would highly recommend 5 Star to anyone who is need of irrigation services. The owner came to my house to personally address my dissatisfaction, they care a lot about their business and it was a nice gesture to offer me a refund. We are sorry to hear that you are unhappy with our service. My Name Is Mark Bouren, The owner of Five Star Irrigation Service. We show you have used our Company previously as well for 2 other prior service calls that were performed in the amount of $836 prior to this last service that was done for $95. We were out on 11/14/18 for a $30 service call, to do a sprinkler tuneup on your system, along with a replacement of 1 broken Head, along with labor charge, for a total of $95.00. We do not perform any work without a written estimate quoting the job estimate repairs first by giving our customers the chance to only pay for the service call, or ( Tune Up ), in the amount of $30. We only recommend the repairs needed and do not perform work with out talking with our customers by explaining the necessary repairs needed and by getting job approval from our customers first. What I don’t understand is I am the owner and my son and I do all of our work, And you have used us previously for other work that was performed on your irrigation system as well, and have paid for our services with out any problems prior. You had mentioned as well that we were not friendly that makes me think you have us mixed up with some body else, this is the first I have heard of this matter you had never called us to let us know about you being unhappy or upset. Why wouldn’t you call us instead and try to resolve the issue, Any unhappy customer to me is to much. I had tried to call you at 8:00 pm on 11/16/18 when I first saw this review and I wanted to try and resolve this issue, there was no answer it went straight to voice mail, 5 minutes later our phone rang and it was your number I answered and you hung up, I tried to call you back and you didn’t answer. We feel that a $30 sprinkler tune up is very fair and that includes the service call as well, for $30, plus the repairs that were approved by you and that included the labor and materials for a total on $95. We feel that is very fair. We strive for 100% customer satisfaction guaranteed, even if it means giving you your $95 back. At this point we will be mailing you a check for your $95 to resolve this matter. Please call Mark Bouren, If you could so we could talk. The team were very professional. They explained everything that had done and were very polite and friendly and charged a very fair price. I wouldn’t hesitate to recommend this company! Eric! This guys was awesome. Great customer service, this company was able to solve my problems quickly and with a smile the whole time. They even made adjustments to provide better coverage and make things run better. I’m really satisfied and will be a return customer. Mark and crew came out and set to work immediately. Evaluated everything accurately and installed and replaced needed items professionally and quickly. When they left, everything worked as promised, new timer in place, neat and orderly and professionally completed. If there was a higher rating than five stars, I would give it. I would recommend these folks to ANYONE, you would not regret having this company do your job at all. Mark and his crew of 6 showed up on time for a estimate to completely redo my non-working irrigation system for my house. I was expecting an estimate only since it was 5:30 p.m. in the evening. Man was I wrong! After a agreeing to the estimate they went right to work. Every man doing his job and they were quick. I was able to reuse my timer that was already here everything else was replaced. They were completely finished and gave me instructions and were gone within 3 hours. I would not even consider any other irrigation company. All American Crew that are fantastic. I called Five Star Irrigation and several other companies by far this company’s customer service was over the top. They came to my home explained what I need walked me through the areas that needed work. The crew came and did an excellent job with installing new sprinklers and lines in my zones on the lawn. I truly recommend them to all my friends. I’m a new home owner in Cape Coral and I’m very happy that I selected Mark and Brett to service and upgrade my irrigation system. They were very professional from start to finish. My call was answered immediately, my appointment was set up quickly and they showed up on time. After they went over a complete evaluation, the work was completed that same day. The system is now working great and my entire lawn is now being watered. I wish the rating system could give more than five stars, because these guys deserve a galaxy!!! I called on Friday afternoon, and they came on Monday morning, figured I would be ‘put on the schedule’, but noooooo!!! They came and assessed the situation, provided a very reasonable estimate and fixed my problems on the spot!!!!! Just AMAZING service!! I used Five Star Irrigation last year and had quite a bit of work done at a very fair price. They were able to salvage parts I thought were a lost cause and saved me hundreds. They were professional, on time, friendly, and completed the job quickly with no problems to follow. Now, I am a return customer, (NOT by any fault of the company products or work), and I am just as pleased the second time around! I will always call Five Star in the future, and I highly recommend them. I highly recommend Mark, and Five Star Irrigation Services. I needed immediate service for my new home. Mark and his crew came out to do an estimate, they were on time, professional, honest and polite. They were able to do the work right away, within an hour or so the job was completed. I will use them again if ever needed. This company did an outstanding job for me. I thought the pump needed replacing which another company had stated. 5 Star stated I only needed a new pressure switch which saved me about $1300. Top notch company and best bang for the buck!! Wow! My wife and I are very pleased with 5 Star! They gave us an appointment window for an estimate, but called to say they could come earlier. This was fine with us. Mark and Brett were very knowledgeable, skilled and quick in their work, and cleaned up nicely when the job was finished. We actually had quite a bit of work done to our ancient sprinkler system. The estimate they gave us seemed very fair, and when the job was done the price was a little less expensive than the estimate. In just a couple of hours, Mark and Brett had the system working better than when it was new. They do high quality work. Again, we are very pleased with 5 Star Irrigation and would gladly recommend them to family and friends. Five star Irrigation was affordable and out within an hour of my call to repair a sprinkler. I would recommend them to anyone in the area. This company gets from me 5 Stars and a big A+ They call you and call again when they getting late. The job was made with great knowledge and they improved the irrigation system ! I was impressed. Don’t call anyone else. I called 6 companies in Cape Coral and no one called me back. I don’t understand this manners. I advise you if you like a job done right call FIVE STAR and you will be happy. Folks spread the words. Thank you. phone manner and early appt. on the 27th. Prior to the arrival of the owner himself who actually goes on the jobs. Pleasantly suprised at that fact shared. Tony called me to alert 15 mins ahead that they were enroute. Once Mark (owner) arrived with a worker and introduced themselves they gave me an accurate assessment and explained clearly and compassionately what was wrong and the cost to repair it. He offered a payment plan if i wasn’t able to pay in full. I felt like he cared about the customer satisfaction and was very courteous in the way he explained what needed to be done.. i committed to the job i needed to have done. He had a invoice given to me had his 2nd helper arrive within 20 mins and the work began. Approximately 45 mins. later the systems was repaired. That 2nd worker took me around to test the system set the timer and all was complete. such a caring team. Folks, I highly recommend this company. Prices were fair as well but, what sold me was the genuineness that each team member including the owner displayed from start to finish. We contacted Five Star Irrigation due to our dissatisfaction we had with another company. Five Star explained everything in detail & allowed us the option to wait on some work for a future date. All the workers were professional and very helpful. They got the job done quickly. We are so pleased with our results! WOW!!!!! Tony actually called us back to set up an appoint. Showed up when scheduled, Did our irrigation revision on the spot….even working late with head lamps. They didn’t leave until we understood what was done and walked us thru adjustment to the system. Pleasure to work with. We had a minor issue….they promptly returned when they said they would and took care of it. Very refreshing. Highly recommend. 5K is a premier company. Here’s how it goes. Tony shows up first, surveys and assesses the job to be done, not an easy task, labor intensive and must be done right. Five minutes or so behind him is the work truck with the rolling office with the owner inside. All the parts required are in back, parts are placed, installed, checked for operational integrity and off they go. They do not waste time, they clean up quickly, and are very polite and professional. I’d go with no one else. 5 starts for 5K irrigation. The only ones you’ll ever need. They even call to confirm the appointment, nobody’s time gets waste. Just plain great!!!!! Recently bought a home and never having had an irrigation system we wanted it checked to make sure it was running correctly and efficiently. Five Star returned our call promptly and was able to come out within 2 days. They showed up on time, checked out our whole system and made recommendations for changes to sprinkler styles and some slight changes to the systems configuration. They gave us what we believed was a reasonable quote for the services and began the work right then. Within 3 hours of them showing up, our work was done and our system is running effectively and more efficiently. We will definatley be calling them for all our irrigation needs. The sprinklers worked, installation clean, guy’s worked fast. Would recommend to anyone, needing this. Thanks again. Five star came out to my property last month on 08/17/2018 to check our sprinkler system for repairs and adjustment to our heads and sprinkler patterns. From the moment they showed up it was obvious the knowledge and experience they held in regards to sprinkler systems and repairs. Eric was outstanding in diagnosing what our problems had been in preventing us from being able to use our system. Bill, Brett, and Mark also were exceptional in providing knowledge and estimates to what would best suit our needs. In the month since they came, our lawn has never looked better now that we have the proper patterns and proper heads in place. They are definitely a company I would recommend to anyone in need of sprinkler repair and alignment. Mark, the owner, and his crew did an outstanding job fixing my old sprinkler system. They were quick, efficient, friendly, and very professional. I highly recommend them for irrigation work. These are true professionals who did an outstanding job on my irrigation system. I would recommend them to any homeowner. Thank-you! I have been using Five Star Irrigation Service for the past three years. We recently purchased a new home and I made sure that we called Mark and Tony at Five Star to inspect our system. They always provide a fair estimate with several options that allow you to fit any repairs into your current budget. I am a small business owner myself and I can assure you that you will find Five Star Irrigation Services work to be done in a professional manner form start to finish. An absolute pleasure to work with! Needed repair and replacement of an outdated system and they did phenomenal work. Replaced multiple heads and valves, ran new electrical, reconfigured my system, set my timers and did it all with a positive attitude and a very VERY reasonable price. I can’t wait to have a green lawn all winter long! So… I woke up Wednesday morning and one zone of my sprinkler system was still on, the front yard was flooding, yikes. I called Five Star and Tony was great he moved around his schedule to accommodate mine! Great customer service. Tony gave me a time window for the next day and called me when my technician was on the way. Eric , the technician was awesome too. He was friendly, professional and took the time to explain my equipment and what my options were. He provided an accurate quote on the spot and had the work done quickly and cleanly. Everything he dug up was put back in place perfectly, you could never tell he was here. Great company to do business with 5 Stars for Five Star! I’m from Canada and was having issues with my sprinkler system. Mark and his crew came over at the time he said he would, checked out the system and gave me a very reasonable quote to do everything. They did the job right then. Very professional and reasonable. I would highly recommend them. Very honest will tell you exactly what you need and don’t need. Very meticulous with there layout of work. They take the time to go over everything with you to understand the system and when they schedule the work they are there as promised. Also the pricing is fair. If there were ten stars I give it to These guys. Very happy with there work. I called on Five Star Irrigation to inspect my sprinkler system and investigate a couple of broken sprinkler heads. They arrived promptly, as scheduled, conducted an inspection and provided a quote for repairs and improvements. They had a team ready to perform repairs and upgrades, so I had them perform repairs and improvements to my system. The work was done perfectly and quickly, which included moving several sprinkler heads to the other side of a fence I had built recently. I couldn’t be happier with the transaction and I highly recommend Five Star Irrigation for reasonably-priced, fast and quality sprinkler system services! On two accession I needed help with my sprinklers one call to 5 star and they were at my house and solved my issues at a fair price. I highly recommend 5 Star Irrigation. Fast, friendly, knowledgable. Estimate provided on the spot and work performed same day. Couldn’t ask for more. 1 year warranty on their work. I am totally satisfied and would recommend to anyone looking for sprinkler repair or remodel. First, off, Mark and his crew arrived exactly when they said they would which is very rare in my experience. They were quick, neat, friendly and took all the time necessary to explain exactly what they were doing. When they were finished they showed me exactly what was done and how it worked making sure I understood and was satisfied with everything before they left. I felt confident that they would do a good job and when they were through, I was extremely happy with the results. Would recommend highly! Thanks guys! I was so impressed with this company! They actually came out the same day I called and were professional, knowledgeable and did a wonderful job of getting an old sprinkler system that had been turned off for over 2 years up and running beautifully.